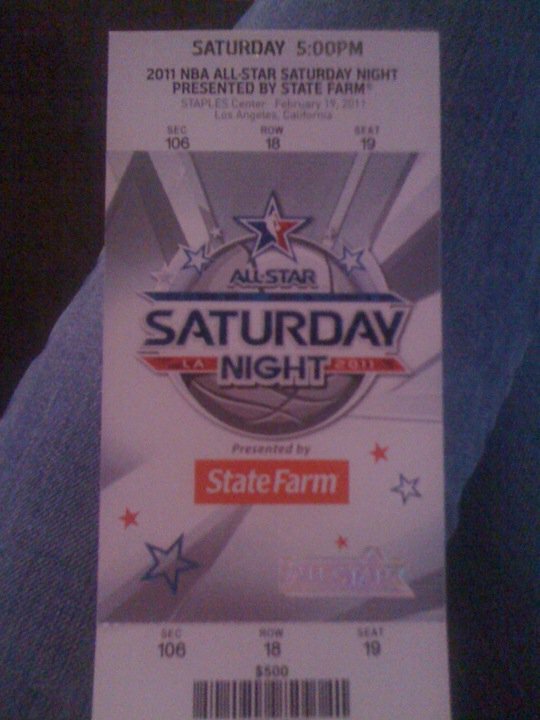 Thanks to my friend, Teri, I scored a ticket to NBA All-Star Saturday night. This is not an easy ticket. When I stopped at VIP Tickets to see what they had in terms of inventory on my way back to the hotel, and they only had upper-level tickets left. They were selling them at face value. I think that face value was $300-$315, I'm not really sure. I don't sit in the upper-level so I never saw the ticket price. 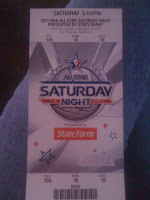 I got a text that my ticket was waiting for me at Will Call and walked to the Staples Center. I arrived just in time for the Skills Challenge. Perfect timing. 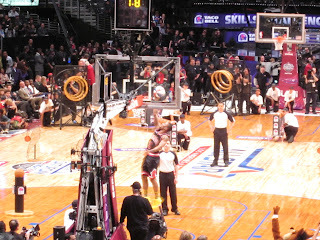 Stephon Curry won the Skills Challenge, but here's a good one of Derrick Rose competing. 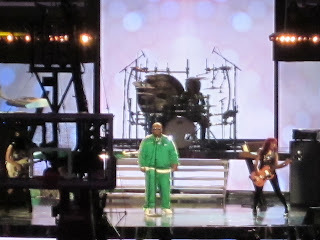 ﻿﻿﻿﻿﻿After Cee Lo's performance, it was time for the 3-Point Contest. 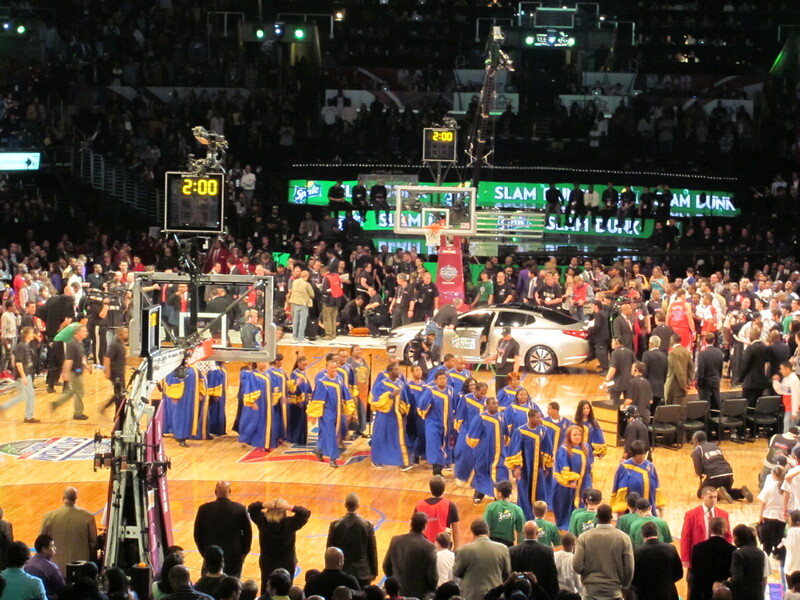 Paul Pierce was the two-time champion and is from California, but since he's a Celtic the crowd booed him. 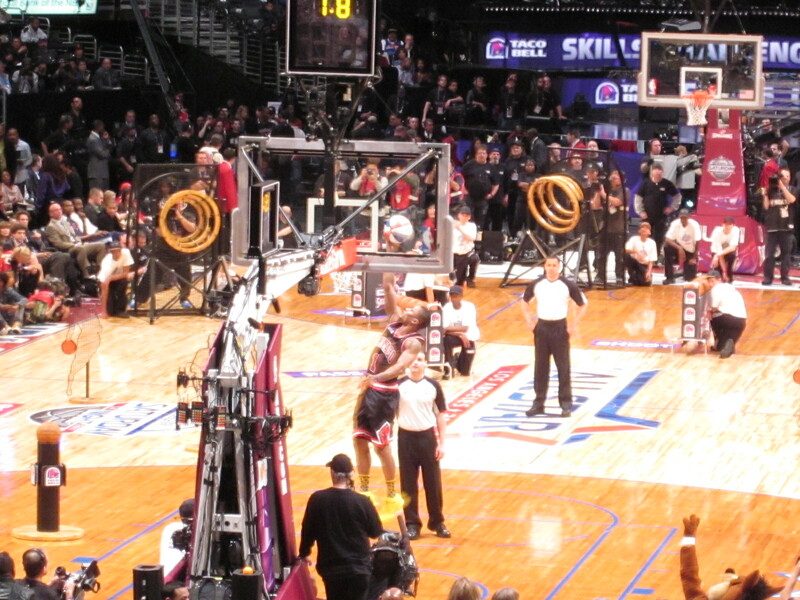 Ray Allen, who surpassed Reggie Miller as the 3-point king, also competed in the contest. Surprisingly, out of the pack, the Miami Heat's James Jones ended up winning. While Kevin Garnett and rooted on his teammates, Dwyane Wade (i.e. 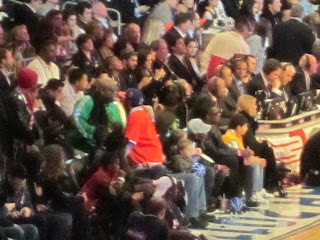 and his son) cheered Jones on from the front row. 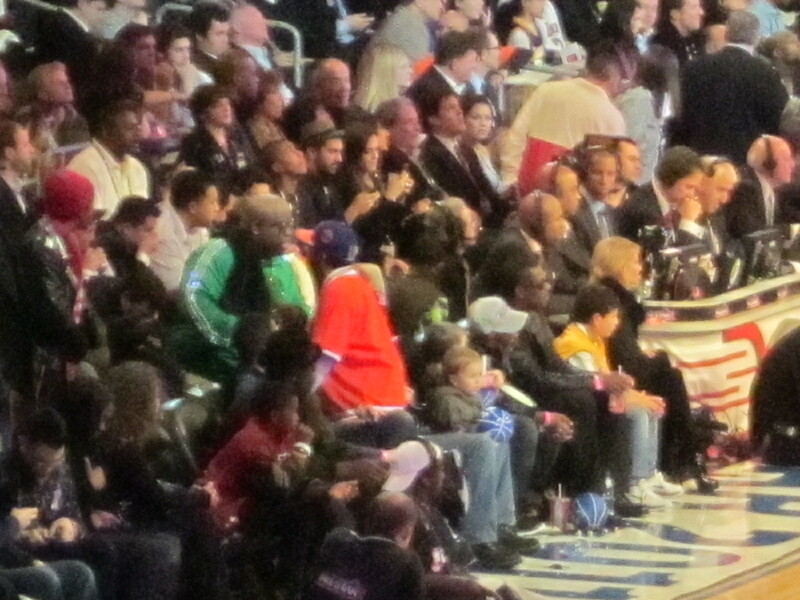 Far East Movement performed after the 3-Point Contest. 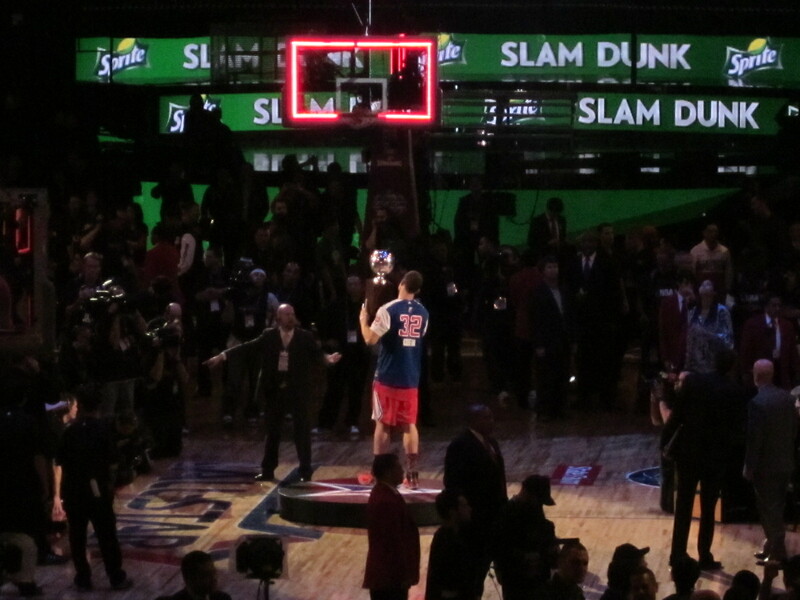 Last but not least, was the highly-anticipated Slam Dunk Contest. The favorite to win was Blake Griffin, but JaVale McGee and DeMar DeRozan weren't about to lie down and die. Javale McGee dunked 3 balls at once. 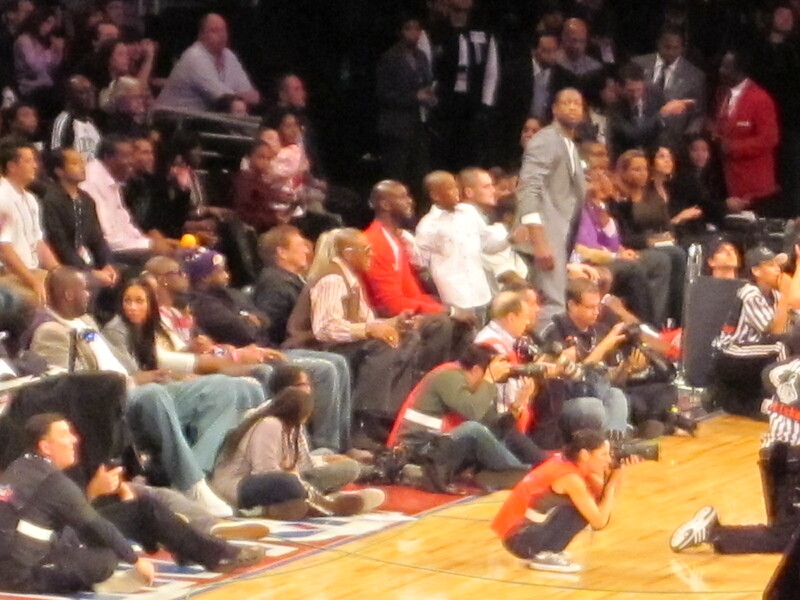 He also brought out another hoop to dunk two balls at the "same" time. Ultimately, Blake Griffin won and his final dunk was the one where he jumped over the front of a car with a gospel choir singing, "I Believe I can Fly". Wild Stuff! If you want to see the highlights, I'm sure you can Google for them. I may try to upload the video I have later. Until then, enjoy the pictures included.